The “Cattolica Monastery in Stilo and Basilian-Byzantine complexes” have been on the list of nominees for the UNESCO World Heritage list for almost 10 years, but so far have not made it, and I don't know why. *(see note) Southern Italy is well represented on the list—Naples, Paestum, Amalfi, etc., (see this link) so it's not biased regionalism or anything like that. Maybe it's a general perception, even among those who stayed awake in Medieval European History 101, that not much happened in the south between the fall of the western Roman Empire and the coming of the Normans, who founded the Kingdom of Sicily (which became the Kingdom of Naples). That's about 600 years, give or take, in which nothing happened! 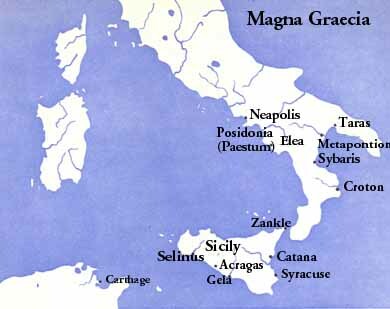 Southern Italy has been largely ignored by most historians of medieval Europe. Since the region was both prominent and prosperous in antiquity, one might have expected more curiosity...they typically have glanced south only briefly, to consider the Normans, and thereafter have largely concentrated on developments from Rome northward...[but]...in this early medieval period, southern Italy was a giant laboratory, one in which politics were tested and where Byzantium, the Lombards, the Islamic world and the Latin West constantly intersected. Byzantine Calabria underwent a slow process of orientalisation of all forms of religious life (rites, cults and liturgy), which accompanied the remarkable spread of churches and monasteries, founded by Eastern monks, that preserved and transmitted the Greek and Hellenistic tradition. So, the Cattolica monastery in Stilo is easily the best example. The town of Stilo is in the province of Reggio Calabria in the region of Calabria, only about 10 km inland from the Ionan Sea at the bottom of the “toe” of the boot of Italy. The Cattolica is a tiny red-brick structure like the type of religious buildings common in the Peloponnesus, Armenia and Anatolia. The church has a Greek cross plan within a square and three apses symmetrically arranged around a central dome. The vaults are supported by columns taken from ancient buildings in Magna Graecia. Also, the name “Cattolica” meant simply a church equipped with a baptistery. Also again, the Cattolica contains a bell installed in 1577 after the church was converted to Latin rites. And really also, there is an Arabic inscription on the premises that says “There is only one true God,” which almost certainly means that at some point the structure was used by Muslims. Baptistery in Santa Severina (prov. of Crotone). *note to "I don't know why." - Maybe I figured it out. One of the most recent (2015) additions to the UNESCO list is "Arab-Norman Palermo and the Cathedral Churches of Cefalú and Monreale" on the northern coast of Sicily. It is a multi-structure site of nine civil and religious structures dating from the era of the Norman kingdom of Sicily (1130-1194). It is an outstanding example of cultural syncretism and certainly a worthwhile addition to the list, but as Barbara Kreutz observes (text box, above) interest in southern history seems to begin again only with the Normans.